BAKU, Azerbaijan – The US is too big, commercially, diplomatically, and militarily for Iran to avoid, Daniel Pipes, director of the Middle East Forum, former official in US departments of state and defense told Trend. At the same time, Pipes dismissed the idea that Iran's doctrine of "the West minus the United States" supported by local conservatives, can be a successful approach. The mentioned doctrine was initially put in place by Iran's Supreme Leader Ali Khamenei in the early 1990s. The doctrine, which envisaged Iran's cooperation with the entire West, excluding the US, has since then been followed by all Iranian administrations. Ayatollah Khamenei even has banned any talks with the US beyond the nuclear issue. Iran and the P5+1 group have reached a nuclear agreement, which was followed by the Joint Comprehensive Plan of Action (JCPOA, aka nuclear deal), lifting international, nuclear-related sanctions off Iran. Following a breath of fresh air, Iran set its sight to expanding its economic reach, inviting more investors to the country and making its presence felt on the world arena. While Iranian officials have repeatedly stated that the country is open for economic ties with the US, as well as doing business with the US entrepreneurs, Pipes doesn't see this happening any time soon. "Many U.S. sanctions remain in place, as well as a general concern about the stability of Iran and the security of American visitors," Pipes said. Another issue that Iran has been battling for a long time is the human rights, which is a sensitive issue for the US. Answering the question about the US possibly sacrificing its principles, such as human rights, for economic interest in ties with Iran, Pipes voiced several obstacles for that to happen. "There's a permanent tension between interests and morality, one that is never resolved," Pipes said. "That said, Iran is a small market and a major abuser of human rights, so I think the outcome here is quite clear." According to last year's reports, Iran's human rights record is far from good, having the highest execution rate in over a decade (United Nations special rapporteur's report). 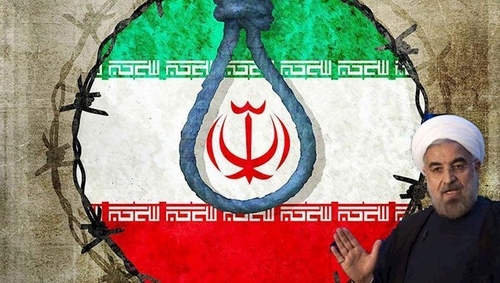 The mentioned report said Iran executed 753 people in 2014 (the highest total recorded in the past 12 years). The number was up from 687 in 2013.